I've finished uploading some donated scenarios - we are now up to 60! I've put them in alphabetical order to help with finding what you're looking for. Thank you for all your contributions (especially Katie Gordon from the University of Maryland School of Medicine, and Babar Haroon from Dalhousie University Medical Program). Gaumard has intriduced the Omni2 (looks like their version of a SimPad). 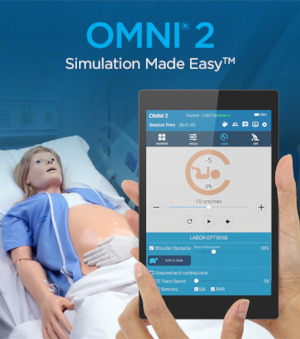 The new OMNI 2 is an easy-to-use, wireless device interface designed to operate Gaumard patient simulators and skills trainers. It offers instructors the essential tools to drive simulation-based training sessions without the complexity of programming. Simply tap and go.